Over the past 13 years, Global Missions Project has taken nearly 10,000 participants to over 28 countries around the world sharing the Gospel of Jesus Christ. Music is the universal language and has opened doors for unique relationships and ministry opportunities using choirs, orchestras, jazz bands, worship teams and music education. 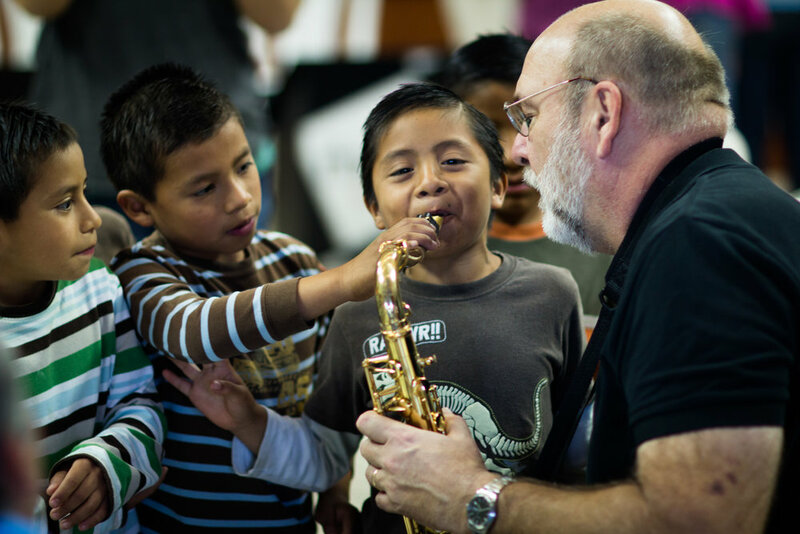 The Metro Big Band recently returned from Guatemala. Check out this short video from one of our participants. We played concerts in schools, churches, and even outside in the city. We love our friends in Guatemala and we look forward to going back in the future. We would love to keep you up to date on everything that is happening at GMP. Please sign up for our newsletter to receive updates and information on upcoming trips, exciting announcements, and oppotunities to get involved. Be sure to share this page with other musicians. We are always looking for participants to join us on the mission projects. We also need photographers, videographers, sound techs, and others. Check out these video highlights from our 2015/2016 New Year's trip to Guatemala. These video's will give you an idea of what it's like to participate in one of GMP's projects. This particular project featured GMP's Metro Big Band under the direction of Camp Kirkland. It was a great trip with many opportunities to share the gospel and encourage believers through music. The group visited schools, orphanages, churches, and other areas around the city. Watch highlights from the 2015 Guatemala music mission trip. If you lead a music group (choir, orchestra, jazz band, praise band, etc), consider taking your group on a mission trip. We have many requests from missionaries all over the world who are looking for music teams to come visit. We would be thrilled to explore opportunities with you. We are continually looking for musicians, sound techs, videographers, photographers and others who would like to go on short term mission projects. There are many opportunities to use your talents to spread the Gospel of Jesus Christ around the world - so get involved today!